Sustainability Knowledge Group announces its support to the Lebanon Climate Act initiative as knowledge partner for the implementation of a ‘Business Knowledge Platform’. Aim of the platform is to enable businesses to design and implement activities for the reduction of their carbon footprint. This unique initiative is supported by the Ministry of Environment and UNDP. Sustainability Knowledge Group introduced on October 4th the 1st out of 4 workshops on ‘Sustainability and Climate Change’, in Beirut, Lebanon. The interactive training provided Lebanese private sector with guidance and practical tools on Sustainability and CSR practices for Climate Change. Mrs. Aglaia Ntili, M.D. of Sustainability Knowledge Group showcased the importance of taking climate action while fulfilling company goals and stakeholder expectations. The main topics covered during this activity-based training focused on Sustainability, Stakeholder prioritization, Business Materiality, Strategy and Carbon Footprint Measurement. 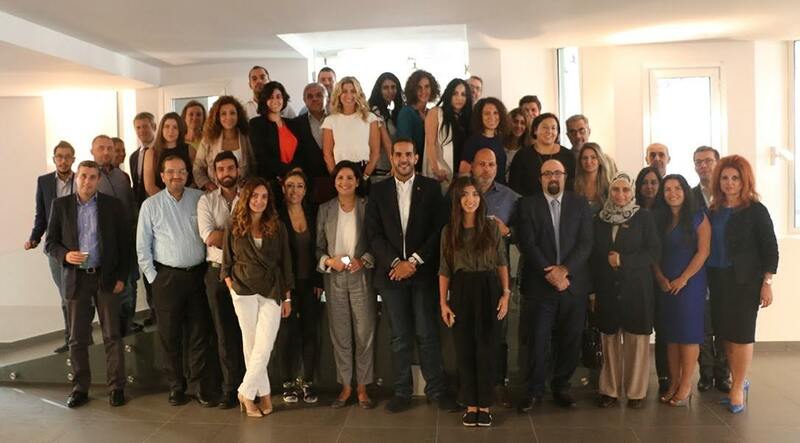 “We are proud to contribute to this initiative and help create positive impact in Lebanon. We actively support the mission of COP22 for action on Climate change and through this series of workshops we will encourage companies to compute their carbon footprint and develop an action plan for carbon footprint reduction according to international standards” Mrs Ntili stated. The events are organized by ClimaSouth, Lebanese Central Bank, UNDP, Climate Change unit of the Lebanese Ministry of Environment and Lebanese Chamber of Commerce. Over the course of the 4 trainings, participants will be taken through the fundamentals of climate change and how organizations can measure and manage their carbon footprint, using case studies, practical exercises and tools. The “Business Knowledge Platform’ aims to enable businesses to design and implement activities to reduce their environmental impacts and capture success stories to inspire others. It will discuss partnership essentials, collaboration principles and initiatives for reducing negative impact and carbon emissions. The workshops are offered free of charge over a period of 6 months with online support also complementing the training courses. Sustainability Knowledge Group is a global advisory firm dedicated in creating value through strategic Sustainability & CSR solutions, including advisory, certified training, coaching and meetups.